This is a very important page in relation to Avatar and unethical hypnosis. HYPNOSIS goes by many names, such as trance work and guided meditation. Hypnosis is not sleep. It is the focusing of attention and concentration. It is very directed and contained. 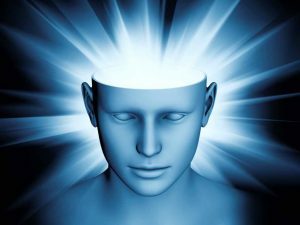 There are qualified mental health professionals who assist in healing through hypnosis, which is a very powerful modality and must be used with skill and caution. There are also many who are not trained and not qualified. They may have another agenda as to why they are taking you through these hypnotic techniques. Many people are NOT good consumers and they do not understand the difference between ‘unethical’ and ‘ethical’ hypnosis. They do not question what a practitioner, or a group like Avatar, is subjecting them too. They just go along with it. Hypnosis can also be dangerous, especially if led by the unqualified, and those with a hidden agenda. The problem is if there is a person or a group (such as Avatar) with an agenda which wants to feed you with ideology or unduly influence you to get you to do things you do not want to do (such as take on a ‘concept’, ‘philosophy’, ”sign up to future courses’ or ‘prevent you from questioning’), then this can detrimental. Hypnosis is also a key ingredient which contributes to a fully indoctrinated cult member who is fanatical and will do anything for a group, especially if this person is very suggestible. Unethical hypnosis is not only used in Avatar – it is abused! On a course you are subjected to hypnotic techniques EVERY SINGLE DAY on both the 9 day course, leading into advanced courses. If you intern, you start the day with hypnotic practices. If you are a Junior Adv. Intern and above, you stay in “serious drill” all day, which is hypnotic. This all whilst you are listening to cult propaganda and Harry Palmer’s talks – every single day! You are constantly subjected to the beliefs of the leader and the group, whilst in a light trance. Some people get through the Avatar Course fine, some have issues, and for others it can be detrimental. This is always blamed on the person, even if they end up in a complete mess and even hospitalised. As well as being very healing, hypnosis can be very dangerous and different people react differently. This is not recognised or respected on the Avatar Course! They take no responsibility and will not even inform their students as to what is really happening to them and why they may react the way they do ‘on-course’ (such as the feeling of being on drugs, out of body or blissed out) or when they leave (which can lead to a depressive crash, anxiety, or rash decisions). Some do end up hospitalised, especially after the Wizards course, which again the student will be blamed for or told it was ‘their creation’. This is EXTREMELY irresponsible and ignorant! It is simply not true and there is “nothing” to back up Avatar’s philosophy or perspective. Harry Palmer and Avatar are not upfront that the tools are merely hypnotic exercises, which have been stolen from a variety of modalities, and other cults, such as Scientology. They are not upfront that Avatar IS NOT a one sized fits all and can be dangerous for some people. The fact that students are rushed through the courses ‘back to back’ and then onto an internship is also dangerous and irresponsible. The reasoning from Avatar Masters (led by Harry and Avra) is that we must not prevent a student from their awakening. The real reason is money and exploitation, in addition to the student taking on cult indoctrination quicker and deeper. For further clarity, watch the video below from Steven Hassan and visit www.freedomofmind.com Steven is a former cult member, mental health professional, best-selling author, and expert in the field of undue influence, appearing on shows such as 60 Minutes, Dateline, Nightline, and Oprah. He has been in the field for decades. Please do your research and stay safe!